No Breakthroughs in US-China Trade Negotiations. Imperial Showdown? Two days of talks between Chinese and US delegations last week ended with diplomatic language alone, indicating failure to accomplish anything significant, both sides holding firm in their demands. First quarter 2018 US trade deficit with China was the highest on record at $91.1 billion, up over $10 billion year-over-year. The comment period on Trump’s announced $50 billion in tariffs on Chinese goods expires at end of May. They’re likely coming if some agreement between both countries isn’t achieved in the next few weeks. Chinese and US negotiators are deeply divided. 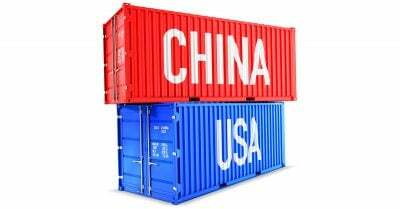 Washington demands Beijing cut the trade deficit at least $200 billion by end of 2020, along with halting state subsidies for companies under the “Made in China 2025” plan – and not retaliate against US exports to the country. Beijing called on the Trump administration to halt its investigation of Chinese trade and industrial policies, along with lifting its restrictions on high-tech exports to the country. Talks will continue, including on the sidelines of later in the year international forums between Trump and Xi Jinping directly. China is willing to allow increased imports of US goods, not reduce exports of its own to America. Nor will it halt subsidies to certain industries, longstanding practice by Washington to corporate favorites. Both countries want trade war avoided. Beijing remains firm in its position, saying it won’t bow to US pressure. Washington doesn’t negotiate. It demands, able to enforce its will on most countries, including EU ones, not easily on China, intending to go along with nothing harming its longterm growth strategy. Compromise by both sides is likely, whether enough to satisfy both countries another matter entirely. Long-term US policy calls for regime change in China, replacing its sovereign independence with pro-Western puppet governance, wanting a strategic opponent of its aim for global dominance eliminated. The bilateral trade dispute is a side show to Washington’s greater imperial objectives – yet important enough to spark conflict between both countries if not resolved. Washington called Russia and China “revisionist power(s)” hostile to US interests. An eventual imperial showdown with both countries is likely, risking unthinkable global war.